The Stabat Mater was completed and first performed in 1965. It was the last of a Holy Trinity of large-scale choral works - the others being Hymnus Paradisi and Missa Sabrinensis, the "Mass of the Severn" - which have established Howells as one of the great twentieth-century masters of vocal-instrumental polyphony. The Stabat Mater was his last major work. He was seventy-three, and though he went on producing anthems, motets and canticles for another thirteen years, he never exceeded the stylistic boundaries established by this most complex, concentrated and ambiguous piece. Unusually for Howells, the inspiration of the Stabat Mater was partially visual: the Pietà of Michelangelo in St. Peter's, Rome (the published vocal score reproduces it on the front cover). 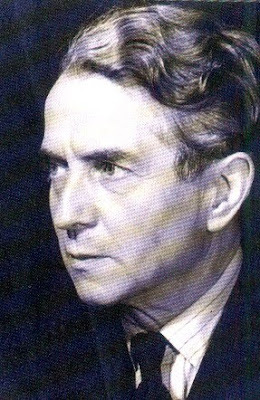 Howells also made a close study of other composer's settings of the text, particularly Stanford's, which he greatly admired (his copy of the vocal score is full of admiring annotations), and kept by him a number of translations. 2) The start of the second movement, a via dolorosa, the cuius animan gementem: Howells makes the cellos and double basses tune down to the low B, so flodding the scene with a lurid light. The solo tenors enters for the first time "O quam tristis", as if introducing speaking for, even protecting the Mother and rebuking the turba. 3) Moments of supreme choral glory: no other composer makes quite these sounds, as in "vidit Jesum in tormentis" in the "Quis est homo"; at "fac me tecum vere flere" in the "Sancta Mater"; and, assai fervido, the great apotheosis of "Juxta crucem tecum stare" in the same movement. 4) The suggestions of great turbulence, gathering storm, threatening crowds, which lead up to that conflagration in the "Sancta Mater". 5) The crippled march - complete with desultory funeral chimes - which begets the finale. The end is resigned extinction of all light and life. 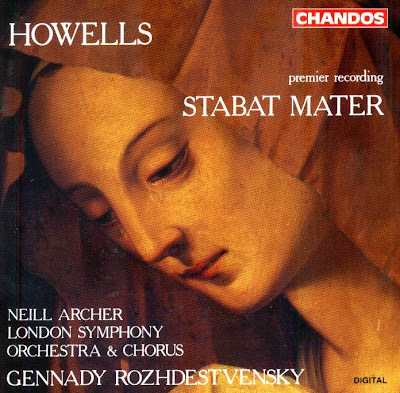 The Stabat Mater was composed against a background of political and personal stress and distress - the Russians' testing of nuclear weapons in 1961, the Cuban Missile Crisis in 1962, the Kennedy assassination in 1963, Sir Winston Churchill's death and state funeral in 1965, the death of Howell's son 25 years ago, was also a powerful presence. All this surely played its part in exacerbating the tension and anguish which pervades the Stabat Mater. It is music of extraordinary desolation and dereliction of spirit. Yet, as all in Howells, agony is ecstacy: sense of loss on the one hand, Beatific Vision on the other. The CD was released by Chandos, 1994, (DDD). Chandos Chan 9314.